The role played by employees in an organisation cannot be overemphasized; employees are the backbone of any business’s success. The quality of an organisation’s workforce determines the overall performance of such organisation; performance in the area of productivity, sales, quality of service delivery and the overall management of the organisation can all be traced to the quality of an organisation’s workforce. This is because new employees have to be hired and trained, and they need time to settle into the job before they can be effectively productive. “Employee turnover is one of the most studied and important issues to organizations, and one that needs special attention”. 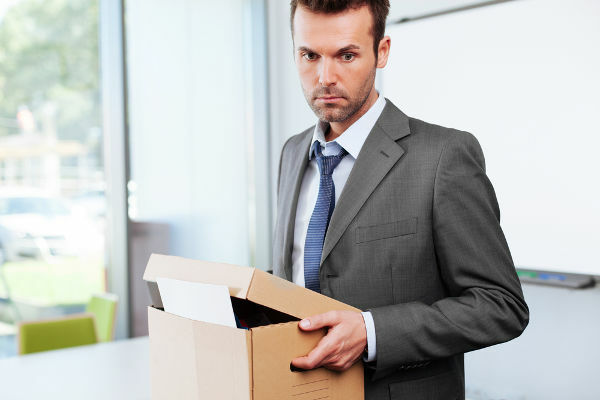 High employee turnover is a warning sign of low morale among an organisation’s workforce, which is one of the factors that affects the productivity of the organization. According to the December, 2016 Job Opening and Labour Turnover release by the US Department of Labour Bureau of Labour Statistics, separation occurs when there is a resignation, layoff or others (retirement, transfers etc). It was reported that an average of 4.9 million monthly separations (employee turnover) occurred between August 2016 and December 2016, which represent a monthly rate of 3.44% of total employment. A breakdown of the figures in the report shows that resignations constituted the highest number of separations – 3.02 million, which represents a rate of 2.08% of total employment. Layoffs is next with total separations of over 1.6 million which represents a rate of 1.1% of total employment; and other separations (retired, transfers etc) constitute the lowest separations of 354,200 that represent a rate of 0.24% of total employment. This has some negative effects, which is what I would like to discuss in this article. Employee turnover can be very costly for an organisation, particularly if it is a voluntary resignation of human capital investment from the organisation and the subsequent replacement process. These replacement costs may include the search of the external labour market for a possible substitute, selection between competing substitutes, induction, formal and informal training of the replacement until he or she attains a reasonable level of performance that is equivalent to that of the individual who quit. A report from research conducted by The Center for American Progress shows that for all positions, except for executives and physician’s jobs that require very specific skills, the typical (median) cost of turnover was 21% of an employee’s annual salary. Also, for workers earning less than $50,000 annually—which covers three-quarters of all workers in the United States—the studies show a typical cost of turnover of 20% of salary, the same as across positions earning $75,000 a year or less, which includes 9 in 10 U.S. workers. From the statistics available from the US Department of Labour, Bureau of Labour Statistics, only about 1/9 of separations are retirement related or another form of planned separation, while 6/10 are resignations and about 3/10 are layoffs. This shows the level of knowledge and experience loss suffered by organisations as a result of employee turnover. Employee productivity and general firm performance can be negatively affected when there is high employee turnover. As I stated earlier, employee turnover leads to loss of experience and trained staff that know the policies and goals of the organisation and their individual roles in achieving these goals. However, a new employee may require some time to learn these roles. In a 2012 Allied Workforce Mobility Survey, about 30% of companies said that it takes a year or longer for a new employee to reach the full productivity level of a departing employee. Therefore, high employee turnover means having many inexperienced employees, which will eventually lead to lower employee productivity. Companies with fewer employees may find it especially difficult to replace workers, as workers may fill a variety of different specialized roles; this can create a serious problem for small businesses, which will affect their performance and productivity. Aside from the cost of replacing an employee discussed earlier, other negative effects stated here and others not discussed could combine to affect a firm’s profit. The cost settlement of employees’ benefits (gratuity and others) and the cost of litigations, as some separations may lead to legal disputes, all combine to affect company performance, which ultimately affects the overall profit of the firm. Anything that tends to increase costs or reduce productivity or revenue will almost certainly reduce profit. A new business often takes months or years to achieve profitability and unexpected costs like high turnover can increase the time it takes a new venture to make a profit or break even.